TV Chef talks about recipes, diets and fast food! 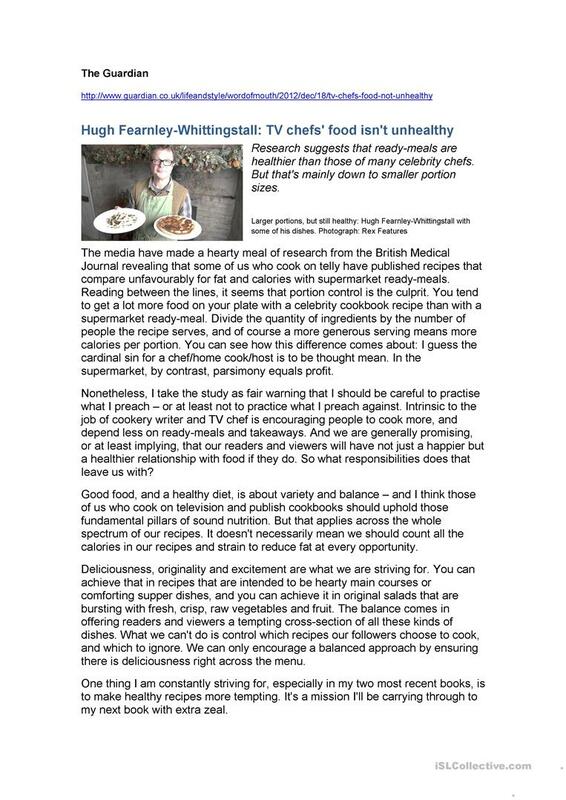 Page 1) A TV Chef talks about his point of view as regards recipes, diets and fast food (article from The Guardian). 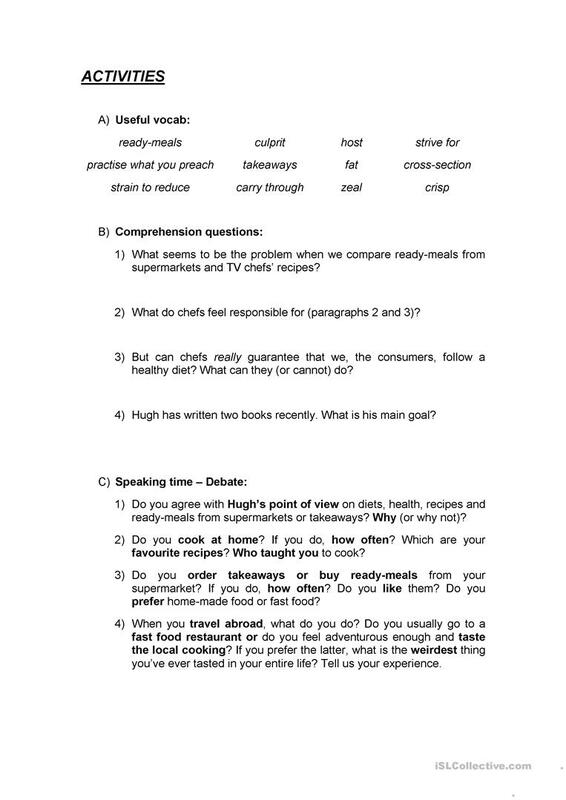 Page 2) ACTIVITIES' page: useful vocab section, comprehension questions & speaking activity (4 questions to express opinion and share experiences). The above downloadable handout is a great resource for business/professional students, high school students and adults at Intermediate (B1), Upper-intermediate (B2) and Advanced (C1) level. It is great for teaching Verb tenses in English, and is useful for developing your class' Speaking and Reading skills. It is focused on the topic and words of Food.